Burning things (and people) you don’t like seems to be a popular way of getting rid of them. It’s also a great way of getting publicity for a cause. And as people in show business know, there’s no such thing as bad publicity. And the latest in a long line of such protests is that of Terry Jones, minister of a small church in the backwoods of Florida, USA, who threatened to burn copies of the Qur’an. It caused tweets of outrage to flow through Twitter, and huge protests throughout the world. It certainly put his church on the map. Jones’s threats will be subject to the law of diminishing returns. Next time he threatens to do burn a Qur’an – and I fear there will be a next time – he’ll be handled with much more caution by the US media, which has made itself look ridiculous in being outfoxed by the crackpot pastor of a miniscule [sic] church in the swamps of Florida. Those outraged by the burning of the Qu’ran may demonstrate in the streets, wave a few placards, burn an American flag or two, and go home feeling self-righteous, just like the Revd Terry Jones. This had a spin-off in South Africa, when staff and students at the University of Natal in Pietermaritzburg were protesting against some government atrocity — I think it was the banning of student leader Ian Robertson. When rioters in Watts, California, began shouting ‘Burn, Baby! BURN!’ in the turmoil of 1965, they were echoing the most popular cry on rhythm-and-blues radio: The trademark of Magnificent Montague, the most exciting R&B disc jockey ever to stroll through Soulsville. In Los Angeles on KGFJ, and earlier in New York on WWRL, Montague yelled ‘Burn!’ whenever he was playing a record that moved him. His listeners followed suit, calling Montague and shouting ‘Burn!’ on the air. The emotion in that exchange reverberated with as much excitement as the music of Stevie Wonder, Sam Cooke and Otis Redding. Our parish priest, Father Athanasius Akunda, has just returned from a meeting of the All-Africa Conference of Churches (AACC), and reported that there has been a heated debate about whether the Kimbanguist Church can remain a member of the AACC. The Kimbanguist Church is the largest religious body in the Democratic Republic of Congo (DRC), and has been a member of the AACC for several years. It has, however recently changed its theology, and is reported to be no longer trinitarian. Father Athanasius told the meeting that the Orthodox Church participated in ecumenical bodies like the AACC on the understanding that, whatever the differences in theology or practive there might be among the member groups, they at least held a common faith in the Holy Trinity. If the Kimbanguist Church no longer believed in the Trinity, then it was no longer Christian, and ought not to remain a member of a Christian body like the AACC. Rather it should acknowledge that it was a different religion, and engage in dialogue with Christians through acknowledged interfaith dialogue. I’m curious to know what changes have taken place in the Kimbanguist Church’s theology, and why. 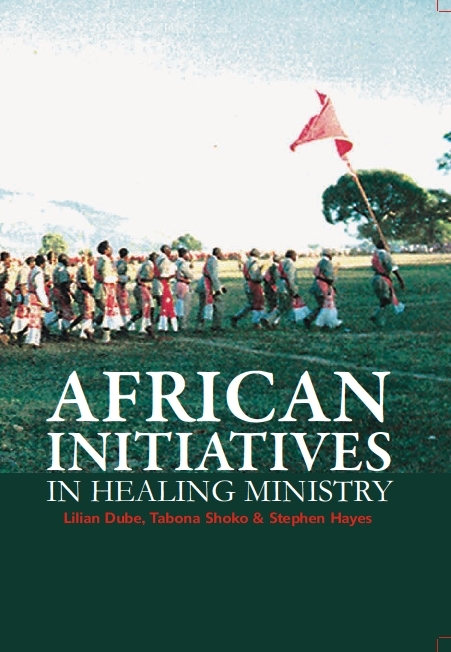 I’ve asked about this in the African Independent Churches discussion forum, but so far there has been no response, so I thought I would appeal through a blog post to see if there is anyone who knows of recent developments in the theology of the Kimbanguist Church. Last week I went to the Amahoro Gathering at Hekpoort, about 40 miles west of Pretoria. About 250 people gathered from various countries in Africa and there were a few from other countries as well. “Amahoro” is a word in Rwandan languages meaning “peace”, and I think it was chosen to represent the rebuilding needed in that country following the horrific genocidal strife that took place there 15 years ago. The gathering was billed as “empowering emerging leaders”, so perhaps I shouldn’t have been there at all, not really being a leader, and at my age I’m submerging rather than emerging. Much of it was about what it means to be Christian in a postmodern and postcolonial world. I won’t say much about it here — I’ve blogged about that in my other blog, with pictures. But it was useful, because words like “postcolonial” have often been bandied about and I wasn’t too sure what they meant, and I think I now have a better idea. For some of the younger people there it was a lifechanging experience, and if you’re interested in reading about it, here are links to some of the blog posts on it, including mine. 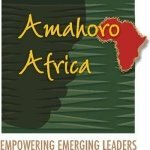 If you have posted a blog post about the Amahoro Gathering and would like to add it to this list, please click here to see how to do it. You are welcome to copy this list to the end of your post. Also, Technorati seems to be working again, so you can find more blog posts on the topic here. Forced conversion to Islam in the UK? It seems as though the Westminster City Council in the UK is forcing Christian children to be brought up with Muslim families. It sounds a bit strange to me. Is this really happening? Or is it actually all part of an Anglo-American plot to eradicate Christianity in the Near/Middle East, and in people of Near/Middle Eastern descent (the Christian population of Iraq has halved since the US-led invasion in 2003).